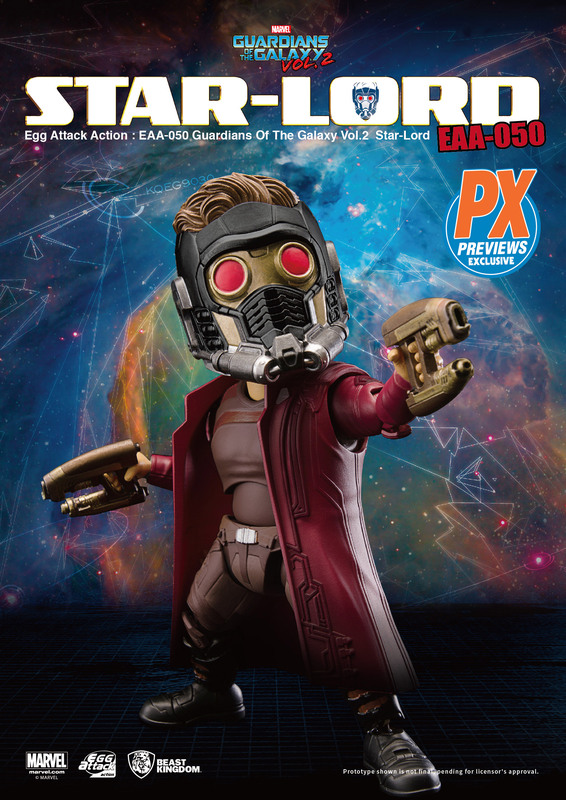 The leader of the Guardians of the Galaxy lands in comic shops near you as Diamond and Beast Kingdom bring a new Guardians of the Galaxy Vol 2 PREVIEWS Exclusive (PX) Action Figure. 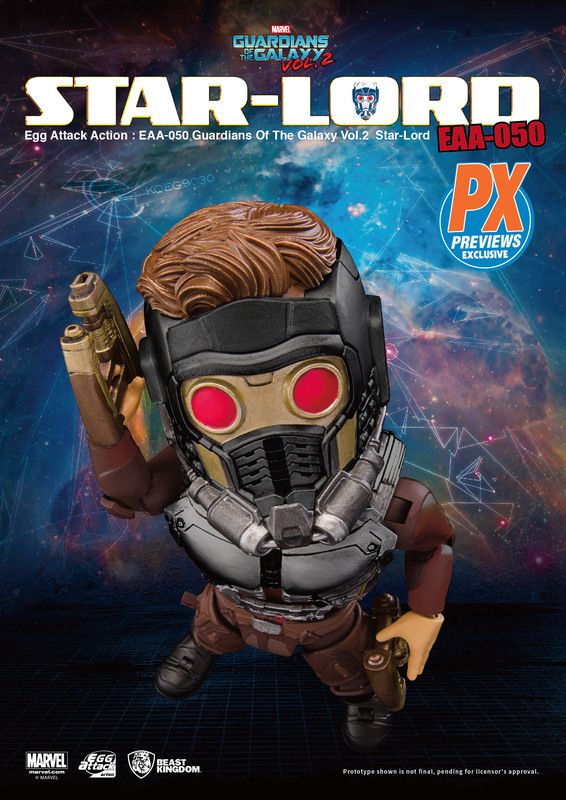 Standing 6” tall and armed with his trusty weaponry, Star Lord comes ready to fight off Sovereign armada right out of the box. 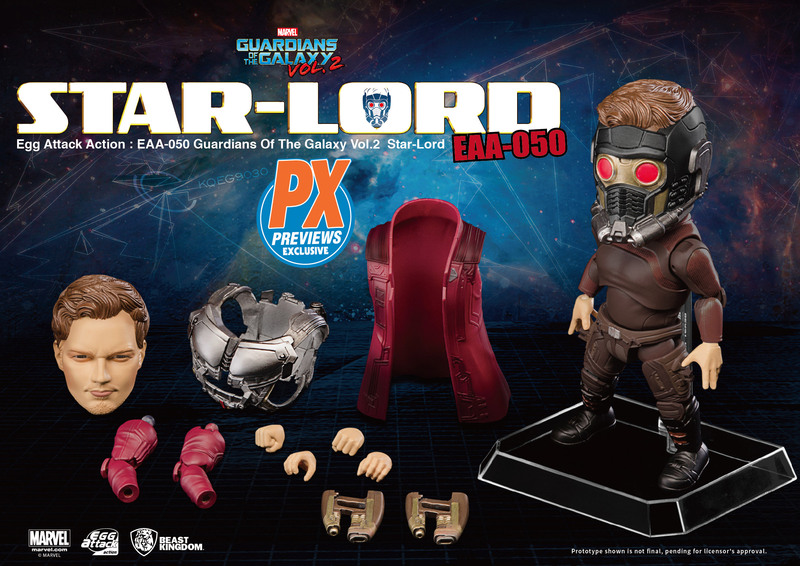 Collectors can display the figure to their own preference, with the over 30 moveable joints, and two interchangeable faces featuring both the masked and unmasked versions of the film’s hero. 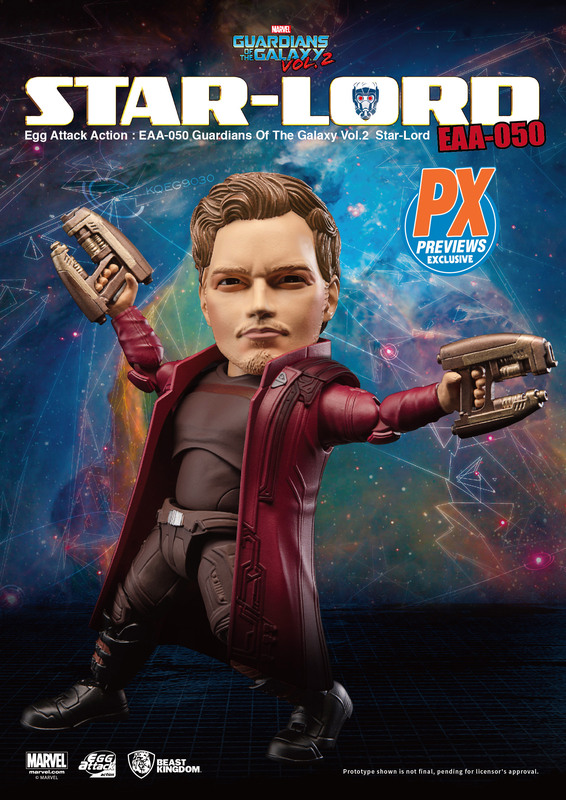 This out of this world PREVIEWS Exclusive item is featured in the June issue of Diamond’s PREVIEWS catalog, carries a suggested retail price of $73.00, and is scheduled for release in late November 2017. 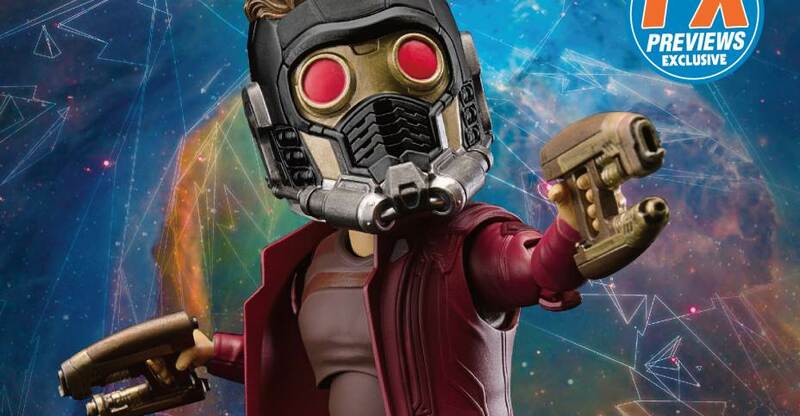 Fans are encouraged to their local comic book specialty shop to pre-order their own Egg Attack Star Lord action figure. To find a comic shop near you and order, visit www.comicshoplocator.com.